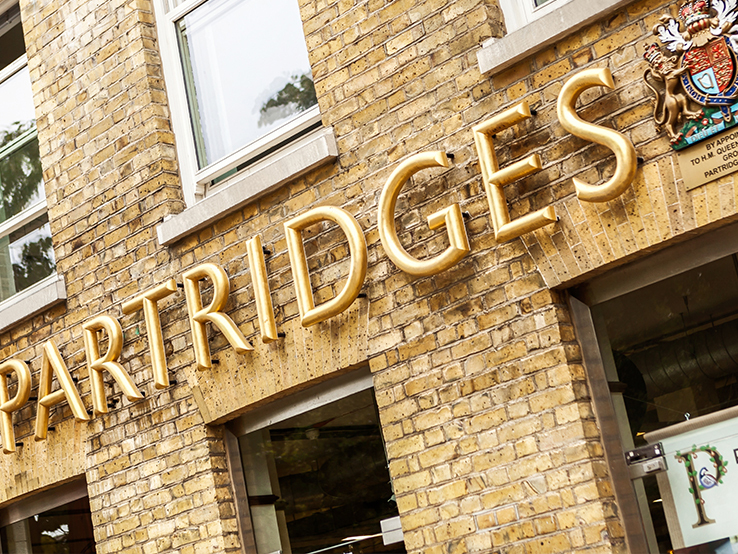 The Partridges Food Market on the Duke of York Square was started on Saturday 29th October 2005. The aim was to celebrate the diverse and evolving world of fine, local, British and International foods and offer small producers, startup businesses and farmers the chance to share their passion and expertise with the public. Starting off with 15 stalls, our market community now comprises of on average 70 diverse stalls every Saturday. The idea of the Market was developed with the kind support of the landlords, the Cadogan Estate. Due to the market’s popularity, we are currently oversubscribed. 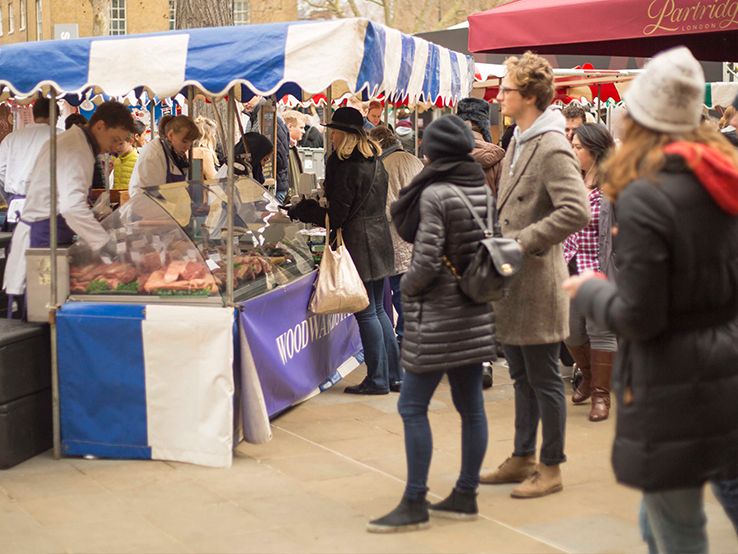 If you would like to apply for a stall at the market, please fill in the Partridges Food Market Application Form and preferably return to us via email at: foodmarket@partridges.co.uk. Bakery: Speciality breads, cakes, patisserie and cookies. Cakehole: A selection of doughnuts and exclusive Partridges Chelsea buns. Comptoir Gourmand the French Patisserie: French Patisserie and viennoiserie. Nick Fu's Fine Foods: English cakes and tarts. The Pancake Man: French crêpes and galettes. Wapping Sourdough: Naturally leavened organic breads from a sourdough culture. The Blue Mountain Coffee: 100% Jamaican blue mountain coffee. The Ethiopian Coffee Company: Roasted Arabica bean coffee from the Ethiopian Highlands. Bee Happier: A selection of raw honeys from Spain. Nut Blend: 100% natural nut butters. Pic's Peanut Butter: Fresh roasted peanuts, lovingly squished in sunny New Zealand. Cookies and Cream: A selection of English fudge. Simply Handmade: Chocolates and macaroons. The Bath Soft Cheese: Organic cheeses from Park Farm in Kelston. Borough Cheese Company: Comte cheeses from Franche-Comte, France. Hook & Son: Raw milk, cream, butter and ghee producers from East Sussex. La Ferme: A selection of French cheeses. Neustift Goat Dairy Cheeses: Goat dairy cheeses from Wiltshire. The Somerset Ploughman: A selection of cheeses form Somerset. Maldon Oyster Company: Pacific oysters and shellfish from River Blackwater Fishery, England. Riverdale Organic Farm: Organic vegetables. Aki Maki Handmade Sushi: Japanese sushi freshly prepared at the stall. Chango Empanadas: Empanadas from Tucuman, Argentina. Fins and Trotters: Traditional British fish and chips. The Indian Kitchen: Speciality Indian dishes. Katavento Brazilian Pastelaria and Deli: Speciality Brazilian dishes. La Ferme: Speciality French dishes. The Liberty Cheesesteak Company: Authentic Philly Cheesesteak. Panka Peruvian Food: Speciality Peruvian dishes. Rainforest Creations: Tropical, raw and organic foods. Roll and Rock: Vietnamese rice paper rolls. 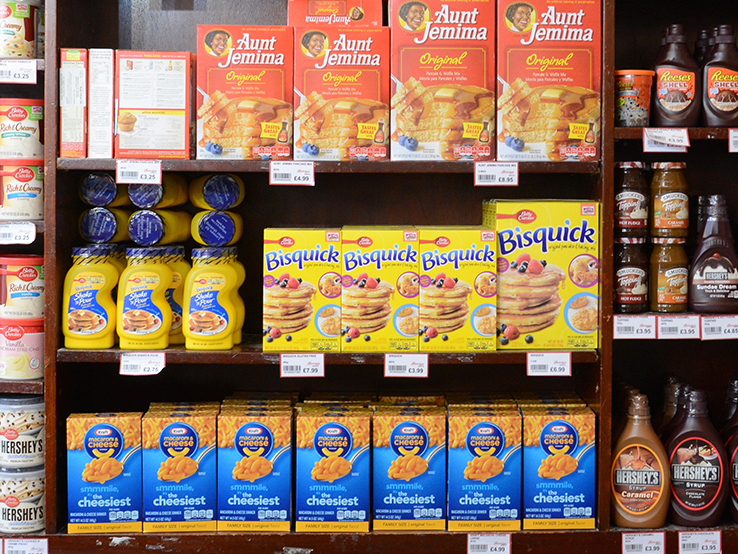 Rummanco West Indian Foods: Caribbean speciality sweet and savoury foods. Seriously Italian: Handmade pasta made with British durum wheat. The Ugly Dumplings: Asian dumplings with Western ingredients. La Tua Pasta: A variety of Italian pasta. Regina Food Ltd.: Sardinian speciality products. Yellow Sunshine: A selection of marinated olives, nuts and garlic juices. Woodwards Farm: British Farm Assured products from Woodwards Farm, Cambridgeshire.